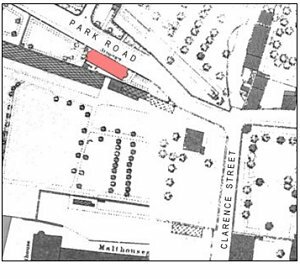 The Armoury (shown in pink on the map at right) was, funnily enough, built as an armoury. It was the arms repository of the 16th (Yeovil) Rifle Volunteer Corps. In 1859 the Corps had a Captain, Lieutenant, Ensign and about sixty other ranks. By 1870 it was occupied by Drill Instructor Symes and his family and in 1908 it was occupied by Sergeant Instructor Thomas Clothier. It is said that powder and ammunition was stored in the cellar. In 1879 the Post Office Directory noted "16th Somerset Rifle Volunteers (Armoury, The Park) - Captain Harbin; Lieutenant Hunt; 2nd Lieutenant Marsh; Chaplin, Rev. R Newman; Acting Surgeon, WF Tomkyns; Sergeant Instructor, W Symes; Band-master, Alfred Beare." 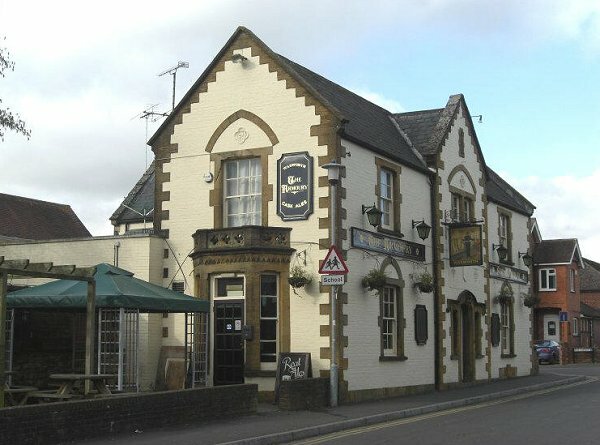 Alfred Beare was listed in the 1881 census as living at the Beehive Inn in Huish, that had been run by his father, Hubert. For further images of the band click here. 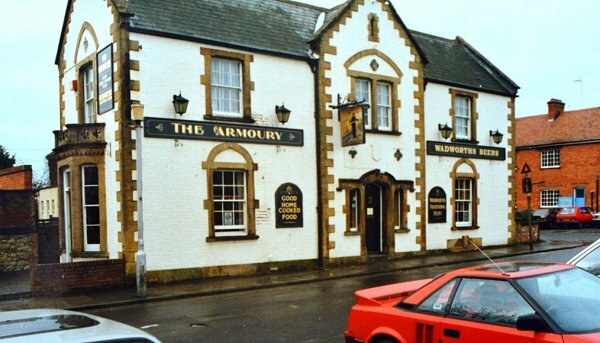 The building was converted to licensed premises, known as the Armoury, in the early 1980's. 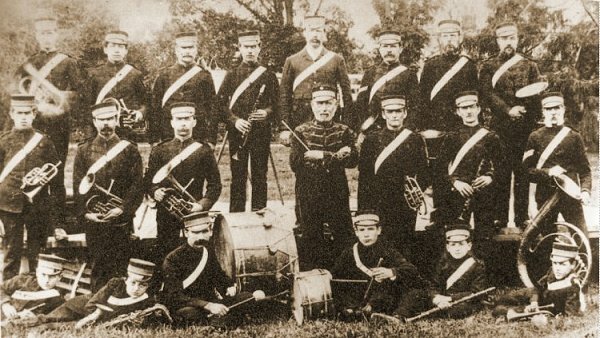 A nice sepia photograph of the Yeovil Military Band in 1892. At centre, with the beribboned tunic and holding the baton is band leader Alfred Beare. Officially this was the band of Yeovil F Company, 2nd Battalion, Prince Albert's Somerset Light Infantry. This 1935 aerial photograph shows Clarence Street running diagonally down the left of the photograph to join with Park Road at bottom right. Towards top left of the photograph is the high-level walkway spanning Clarence Street, with the Brutton's brewery building to the left and the malthouse buildings to the right. 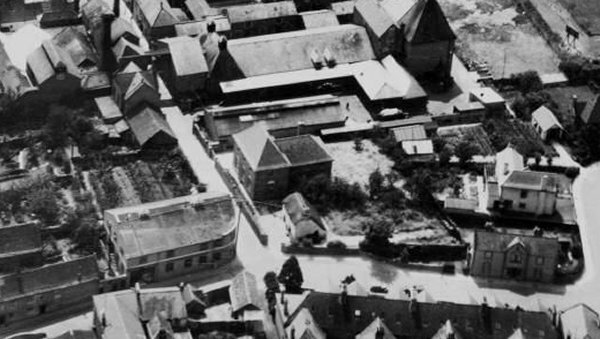 The Armoury, before its rear extension was added, is seen at bottom right. 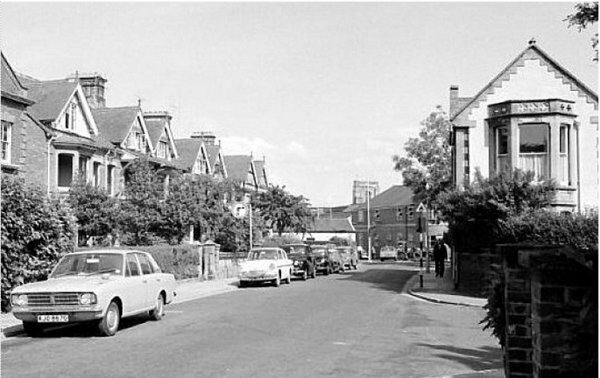 This photograph, taken about 1970 and looking east along Park Road towards Clarence Street, and shows the Armoury at right. All the buildings at left were demolished for the construction of Queensway. 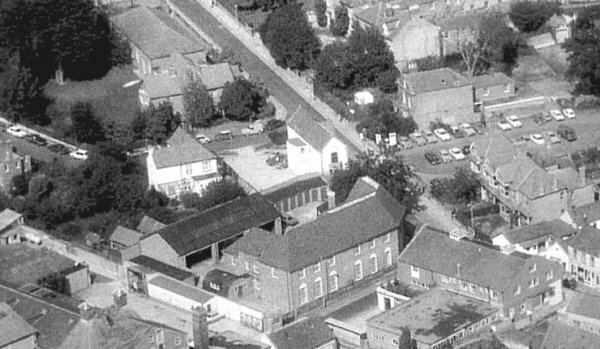 An aerial photograph of 1972 shows the Armoury as the long, thin white building at the centre of the photograph and completely lacking the huge extensions seen in the following image. Also, compare this pre-Queensway image with the following photograph. The Armoury photographed in 1989. 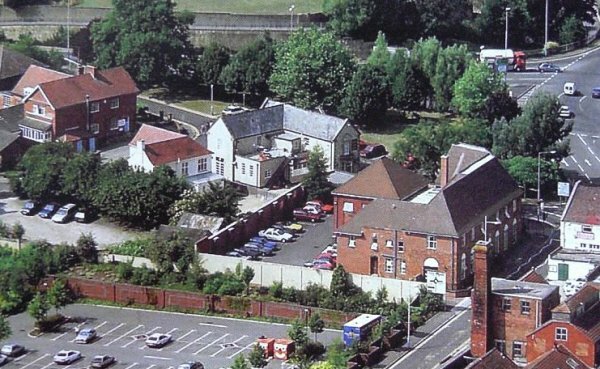 The Armoury is the white building at the centre of this 1994 aerial photograph, although a glance at the map and photograph above will show that there are now more extensions than the original building facing The Park. Behind the trees at the top of the photograph Queensway runs to join the Hospital Roundabout at top right. Clarence Street runs diagonally across the bottom right of the photograph and at bottom left is Tesco's car park when it was still one-storey. 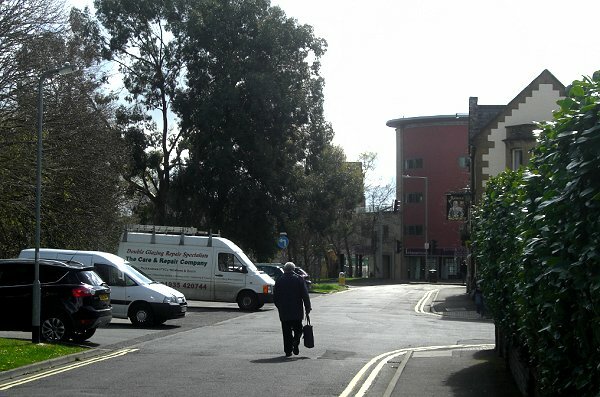 The large building in the right half of the photo is Telford House, built as a telephone exchange and later became Council Offices (where I worked in the early 1970's in the Architect's drawing office). The Armoury. Photographed in 2012.